The David Round Company provides a stainless steel version of its standard wire rope hoists that is highly corrosion-resistant and ideal for use in sanitary processing environments such as food preparation, pharmaceutical and cleanrooms. 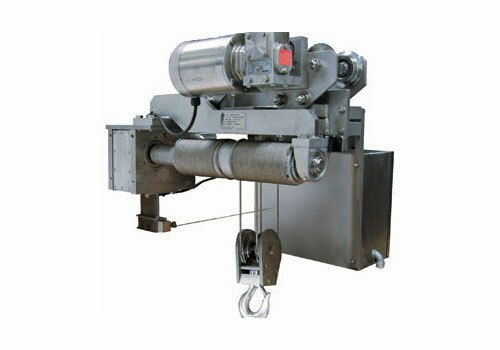 All stainless steel wire rope hoists are H4 rated and can accommodate loads between ½-2 tons. Need a low headroom unit? No problem. We have a full engineering staff ready for the challenge. We offer explosion proof options as well!